HomeNewsCoach NewsA workplace that works? For a driver and courier, the coach is their workplace. But is it a workplace fit for purpose? 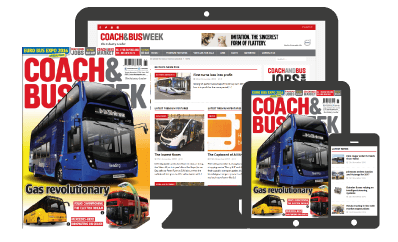 Coach tourism specialist Stuart Render looks at the issue and questions whether manufacturers should be doing more to help. Modern coach design has come a long way in recent years, with a clear focus on improving the customer experience. But have things improved for the driver and courier? Does the interior design give them enough space to do their job properly?